Deciding to run a business and follow your passion is not always (i.e. – ever) the easy choice. You will work harder than you ever have before, and there’s no doubt that you need to be dedicated, because you’re in it for the long haul! This week, I invited my friend and long-time student – Sonia Mcmanus of Tiki Kiwi and Paper Petals – to come on the podcast. I’ve watched Sonia grow her businesses over the last few years, and I love the path she’s created for herself. Not only that – she has a moving story to tell about how a natural disaster in her city prompted her to finally chase her creative dreams. As you’ll hear, she knows a thing or two about being a busy entrepreneur – all while juggling ‘the day job’, and being a single mum to an almost-teenager. Her passion and determination really shine through in this interview – I literally got goose bumps at one stage listening to her! If you’ve ever been unsure as to whether you’re on the right path – whether you should be chasing your own dream – don’t miss this episode. 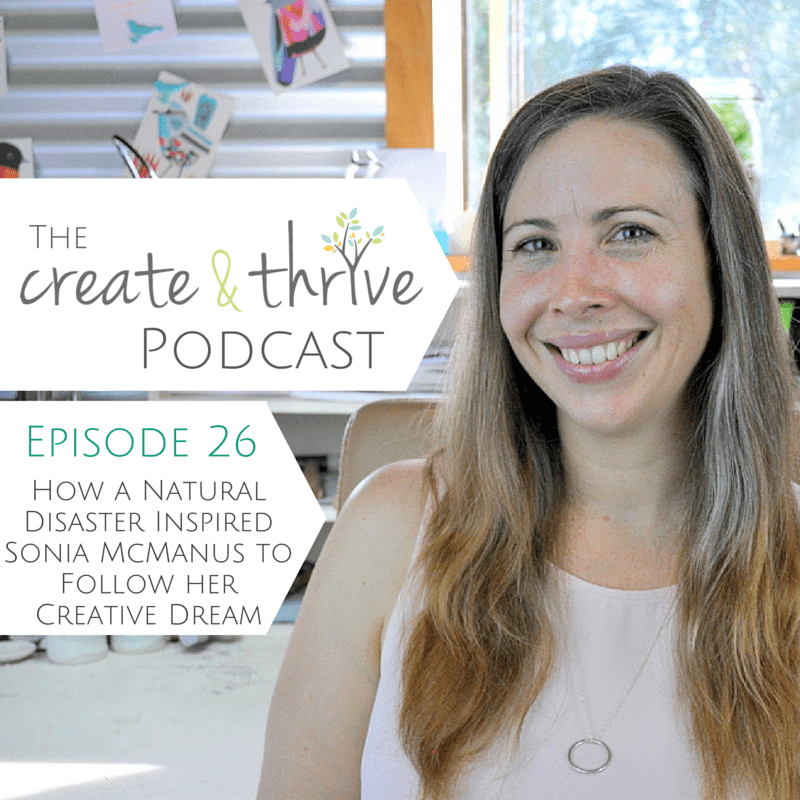 Natural disaster makes you recognize the need to follow your passion. Turning your hobby into your business takes dedication, commitment, and time. Self-Doubt is a part of the creative-process. Don’t be afraid to put yourself out there. Opportunities can only present themselves when we are available to receive. It’s okay for your business to evolve over time, in fact, you may want to expect it. Different outlets can fulfill different creative needs within ourselves. Know your audience and your business. Have a creative hobby/outlet OUTSIDE of your business. Morning Pages: Start your day with a writing meditation exercise. If something doesn’t work for you, it’s okay to get rid of it. Running a successful business is a marathon, not a sprint. You need to be in it for the long haul. To learn more about Sonia visit her website TikiKiwi.